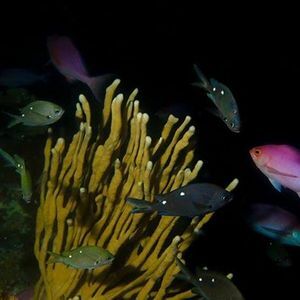 Night dives are one of the most amazing SCUBA diving experiences around! Join the Waiheke Dive team for an epic night dive from one of the stunning beaches here on Waiheke. We're super flexible, so if your preferred dates are not here then just get in touch. You'll meet us at the shop at the booked time for your night dive. First we'll introduce you to your guide for your adventure, before you complete the required paperwork, show proof of certification and hire any equipment that you need. Then, with your guide you'll head to the chosen shore dive location. After a thorough briefing you'll get into the water and explore! After your dive you'll come back to the store, complete your logbook and chat about your epic adventure! Divers of all certification levels are more than welcome. 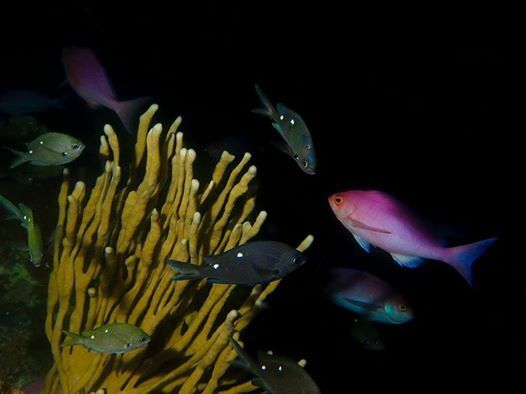 For night dives, we keep it to small groups with no more than 4 divers with a PADI dive professional as your guide! Simply book online, and soon after you'll get a confirmation email from the team along with some specific info. You'll need to let us know if you have any gear hire requirements (to be paid separately), provide proof of your certification and experience levels and complete the appropriate medical and liability release forms. Every diver is required to have a dive torch during a night dive, and we thoroughly recommend at least one back up torch between each buddy pair. You're welcome to bring your own, hire torches from us or we have a great selection available if you want to purchase your own one.